Wyckwood House Holiday Market returns to Metropolitan Coworking for First Fridays on Dec. 1. First Fridays aims to bring some holiday cheer on December 1. For the fifth year, If These Walls Could Talk is hosting “Pack the Pantry,” their annual art auction that benefits the Aurora Interfaith Food Pantry. 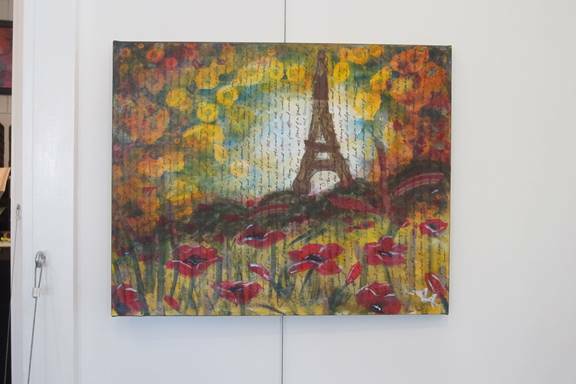 Visit the frame shop and gallery from 6 to 10 p.m. at 32 S. Stolp Ave. and bid on a piece of art handcrafted by local artists out of paper grocery bags. Also on First Fridays, two venues celebrate anniversaries. Gremlen Recording Studios, 130 W. Downer Pl. celebrates 20 years. Tour the studios and listen to live music from 5 to 9 p.m.
Culture Stock, a used bookstore and community center at 43 E. Galena Blvd. celebrates its fifth anniversary from 6 to 9 p.m.
Get into the holiday spirit as Dan Becker and the Tourists “Rock Around the Christmas Tree” from 6 to 9 p.m. at Endiro Coffee, 29 W. New York St.
Aurora Fastprint, 54 E. Galena Blvd. is celebrating its 34th year of hosting the popular Wagon Wheel Party starting at 5 p.m.
Visit pop up shops at Metropolitan Coworking, River’s Edge Cafe, and Aurora Regional Fire Museum. Author, beekeeper, dad, alderman, and general good guy Joel Frieders is signing his new book at First Fridays. Gillerson’s Grubbery, 33 W. New York St., hosts “Mind Your Christmas” book release and signing by author and Yorkville Alderman Joel Frieders. 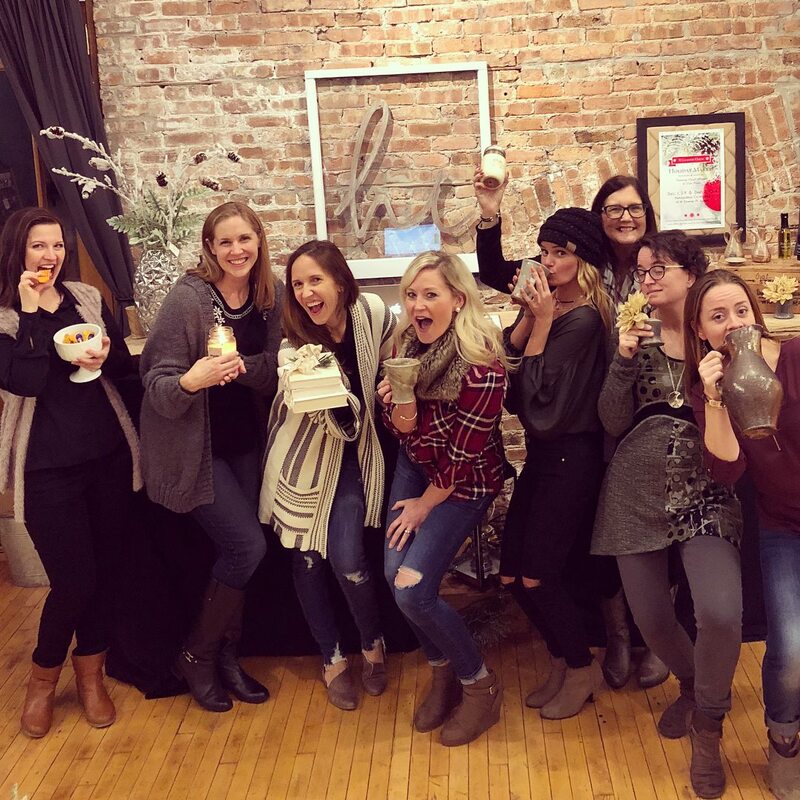 6:30 to 8:30 p.m. 2 Fools Cider tasting starts at 6 p.m.
Fox Art Studio, 9 S. Stolp Ave., hosts a Jewelry Show with three designers. 6 to 9 p.m.
Bid on handcrafted paper bag artwork and help Pack the Pantry at If These Walls Could Talk on Dec. 1. The ArtBar presents Deepayan Bose at The Web, 134 W. Downer Pl., from 6 p.m. to 1 a.m. along with two shows at Two Brothers Roundhouse, 205 N. Broadway: The Face Show in the Cafe; “Life Goes On,” a solo show featuring Lita Lu in the Lounge. 6 p.m. to midnight. Gallery 1904, 1 E. Benton St., hosts “Artists & Community 2017,” an end-of-year show, through the eyes, words, and sounds of artists including Randy Benzie, Amanda Meyer, Michael Sawdey, and Susan Ward Trestrail. Original Poetry written and performed by Susan Frances, Frank Rutledge, and Leo Zarko. Live music by Jim Green. 6:30 to 9:30 p.m.
AKA Dance is celebrating the “Polar Express” on First Fridays with a free dance class and book reading. AKA Dance, 14 W. Downer Pl., is open with a free children’s dance class at 6:30 p.m. and “Polar Express” reading at 7 p.m. Children can come dance in their pajamas and stay for a reading of “Polar Express” from the Conductor. Grand Gallery at Paramount Theatre, 23 E. Galena Blvd., hosts its Winter Gallery Opening with new art by the gallery’s resident artists. 7 to 9 p.m.
River’s Edge Cafe, 14 W. Downer Pl. Ste. 18, hosts pop up shops with Erica Stephan and the.elf.shop from 5 to 9 p.m. Family-Friendly Carol Singalong hosted by City of Light Anglican Church from 6 to 8 p.m. Free hot cocoa while supplies last. Metropolitan Coworking, 14 W. Downer Pl. Ste. 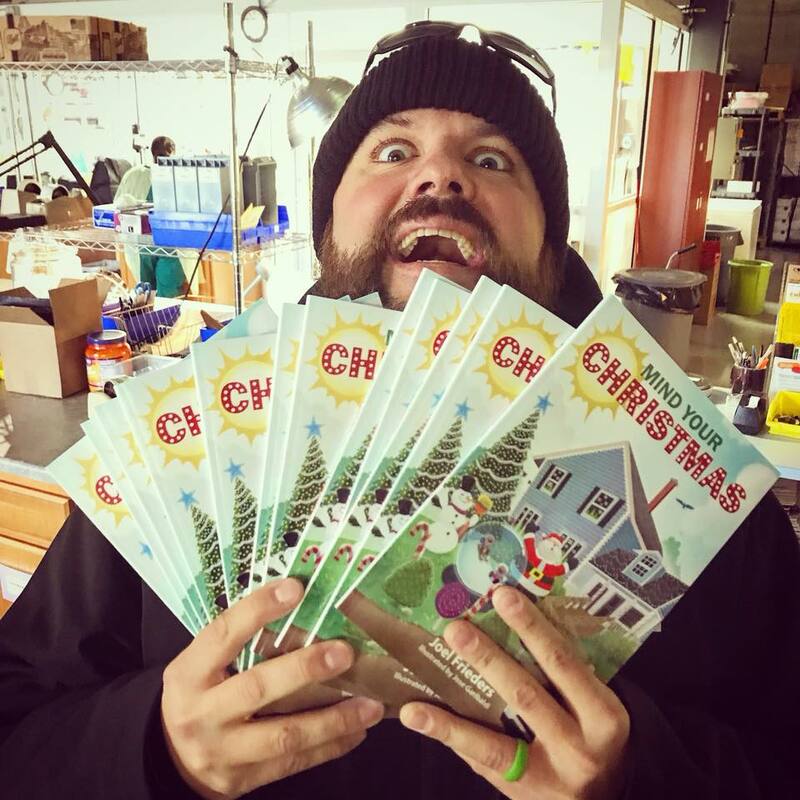 16, hosts Wyckwood House Holiday Market. Local vendors curated by Shannon Gutierrez will set up with chic home decor, holiday gifts, and more. 5 to 9 p.m.
David L. Pierce Art and History Center, 20 E. Downer Pl., is open with the Aurora Historical Society’s “Holidays in Aurora” mini photo exhibit, “Aurora Story,” and World War I Exhibit. The gift shop will be open for holiday gift buying. 6 to 9 p.m.
Culture Stock, 43 E. Galena Blvd., hosts “Respect the Mic,” spoken word. Starts at 9 p.m.
SciTech, 18 W. Benton St., is open with demos and a look at STEAM activities for all ages. 6 to 8 p.m.
Aurora Regional Fire Museum, 53 N. Broadway, is home to the Pop Up Shops during First Fridays. Stop by and decorate a cookie sponsored by A Little Something Sweets. Vendors also include Ursula Naturals, Splinter and Things, BoogieBean Boutique, and Wheatley Design. 6 to 9 p.m.
Oddlots Gallery at Holbrook Mill, 121 W. Benton St., hosts “Sugar, Spice, and Everything Nice,” a display and sampling of classic Christmas cookies by Susan Palumbo. 6 to 9 p.m.
Indie Studio Space, 105 E. Galena Blvd., is open with 3D pictures and live podcasting featuring Jake Kilts, Mat Astacio, Nic Astacio. First 30 people will receive a free 3D photo by trick pic. 5 to 8 p.m.
Community Christian Church, 78 S. LaSalle St., is serving up coffee, hot chocolate, live music, and more at its Community Coffeehouse. 6 to 9 p.m.
Zen Loft Wellness Center, 6 W. Downer Pl., offers $5 mini classes, demos, $10 chair massage, and staff performances. 6 to 9 p.m.
First Fridays maps are available at all venues. Free trolley rides run from 6 to 10 p.m.
Visit the Facebook invite here.